TechnoServe convened leaders from the private and public sector in Lagos, Nigeria, to launch an initiative that will address malnutrition through food fortification. The SAPFF project launch brought together senior Nigerian government officials, including Aminu Bisalla (right) from the Federal Ministry of Industry, Trade and Investment, and industry leaders, including Zouera Youssouffou (center), CEO of Dangote Foundation, who gave remarks on behalf of Aliko Dangote. TechnoServe's William Warshauer (left) and Larry Umunna (center right) welcomed the distinguished guests. More than one in three Nigerian children under the age of 5 suffer from chronic malnutrition. This “hidden hunger” can lead to impaired physical and cognitive development, and contributes to 45 percent of all deaths in children. “When we deprive children of essential nutrients, even if they survive, we’re basically setting them up for failure in the future. We cannot have a bright future for Nigeria if we’re not ensuring adequate nutrition,” said Shawn Baker, Director of Nutrition at the Bill & Melinda Gates Foundation, addressing a group of business, government and civil society leaders at today’s official launch of the Strengthening African Processors of Fortified Foods project in Lagos, Nigeria. Food fortification has been widely identified as a cost-effective strategy for addressing malnutrition at scale. 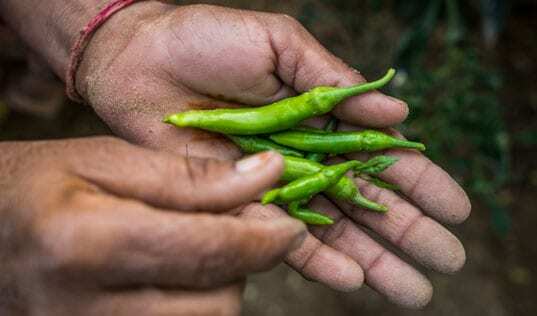 A group of the world’s leading economists at the Copenhagen Consensus Center concluded that investing in improved nutrition has one of the highest returns on investment compared of any global health and development interventions. The Strengthening African Processors of Fortified Foods project, or SAPFF, works with food companies in Nigeria, Kenya and Tanzania to improve their capacity to produce and sell fortified foods for local markets, working to ensure that people receive the nutrients they need to lead happy and productive lives. 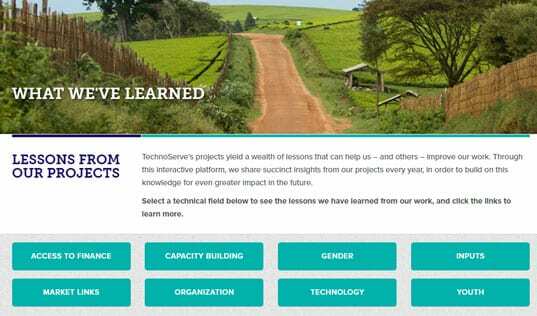 The four-year, $10 million initiative is funded by the Gates Foundation, and implemented by TechnoServe in collaboration with Partners in Food Solutions (PFS), the Global Alliance for Improved Nutrition (GAIN), and other nonprofit and government partners. Speakers at the project launch event included representatives from TechnoServe, the Gates Foundation, GAIN, the Federal Government of Nigeria, Partners in Food Solutions and the Dangote Foundation, among others. Speakers at the launch event stressed the business and economic benefits of fortifying food to improve nutrition outcomes. 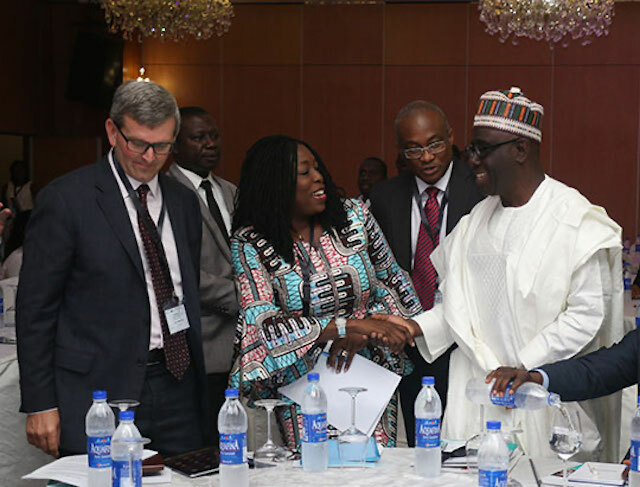 Permanent Secretary of the Federal Ministry of Industry, Trade and Investment, Aminu Bisalla said, "As a government, we have responsibility to ensure our citizens, especially the most vulnerable ones – women and children – have access to nutritious foods. We will also continue to make business case for nutrition. It is important that the private sector does not see its investment in production of fortified foods as mere response to corporate social responsibility." “Building the competitiveness of industries is something we take very seriously and aligns with our mission,” said TechnoServe President and CEO William Warshauer. "So we’re very privileged to be the lead implementing partner on the Strengthening African Processors of Fortified Foods project." 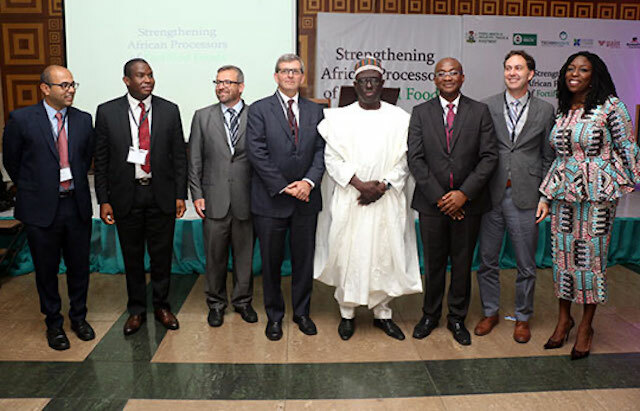 Working with 40 leading food processors in Nigeria (along with more than 50 companies in Kenya and Tanzania), SAPFF will address barriers to regulatory compliance and gaps in technical knowledge. "Our approach is to take a broader view... to look at food processing more holistically," said Rizwan Yusufali, TechnoServe's regional director for SAPFF, citing strategies – from tariff issues to waste reduction – for offsetting the fortification costs to comapanies. "It's a collective effort – there is no single entity that can successfully realize food fortification," said Rizwan. The theme of effective partnerships echoed throughout the event. Shawn Baker quoted Helen Keller: “Alone we can do so little, together we can do so much.” In affirmation, key government regulatory agencies, donor agencies, and other civil society organizations formally stated their commitment to supporting SAPFF’s efforts to strengthen the competitiveness of Nigeria's food processing industry.